This sherry wood matured Islay malt from Bowmore was distilled in 1957 and bottled some 31 years later in 1988 by Hart Brothers Ltd as part of their 'Finest Collection' range. 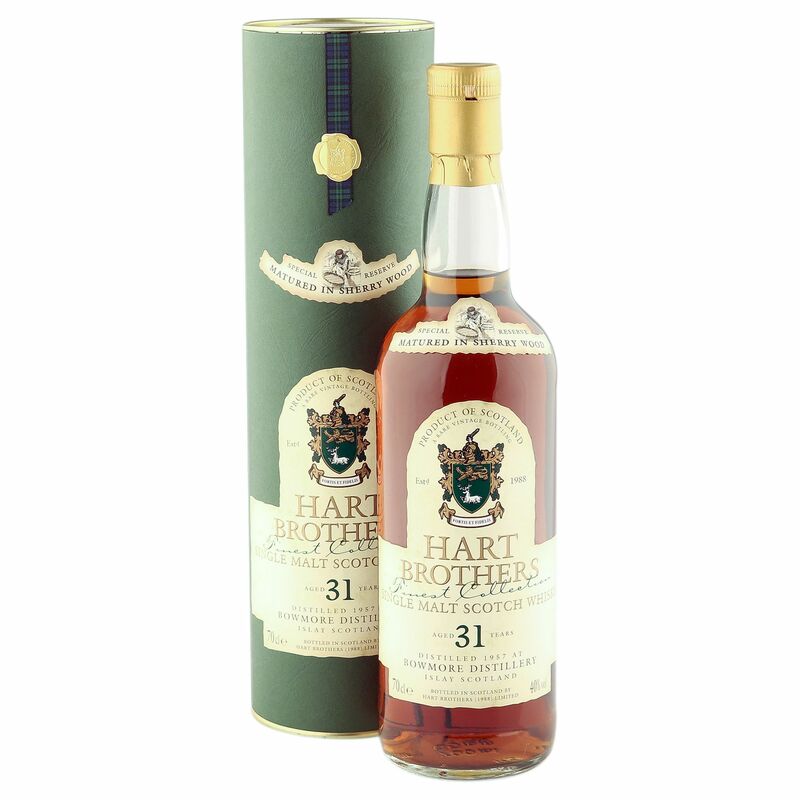 This natural cask strength beauty (there was no dilution, despite a strength of just 40% ABV) was awarded 88 points on WhiskyFun and comes in great condition, complete with original tube. Now considered an absolute classic, a vastly rare vintage Bowmore that has scarcely been seen in many a year.